Norman Hackley (far right as we look) with his Army mates back in the United Kingdom. 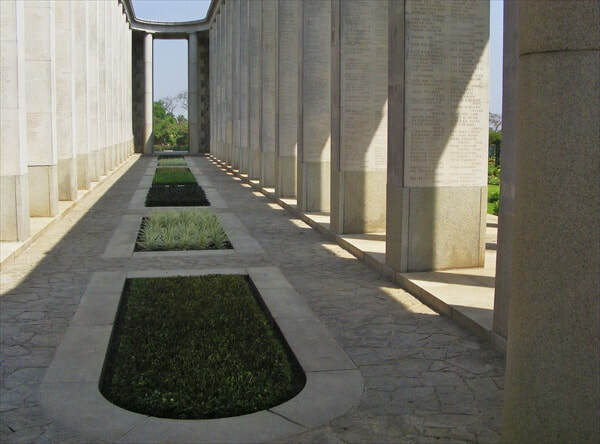 Sadly, not much is known about Norman Hackley and his time on Operation Longcloth, other than he died on the 28th April 1943 and that he is remembered on the Rangoon Memorial in Taukkyan War Cemetery. The men with similar dates for death were generally either short-term prisoners of war held in the outlying Chindit POW camps, or men from the struggling remnants of Column 1, who found themselves furthest from safety at the point when Wingate called a stop to the operation in late March 1943. Of all the Chindit units which chose to return in a westward direction, Column 1 took the longest period of time to reach the safety of the Chindwin River. Many of the men from George Dunlop's unit were lost or killed around late April, when the group had reached the vicinity of the Mu Valley. Norman Hackley was part of a draft of Signallers who were sent to join the Longcloth preparations, then located at the rail station of Jhansi on the 29th December 1942. These men were quickly assimilated into the various columns within 77th Infantry Brigade and were presumably brought up to speed in regard to their role as part of the forthcoming expedition. They did not need too much in the way of specialist training at that time as these Signallers had spent the last few months working inside China, helping train Chinese troops at places like Chungking. 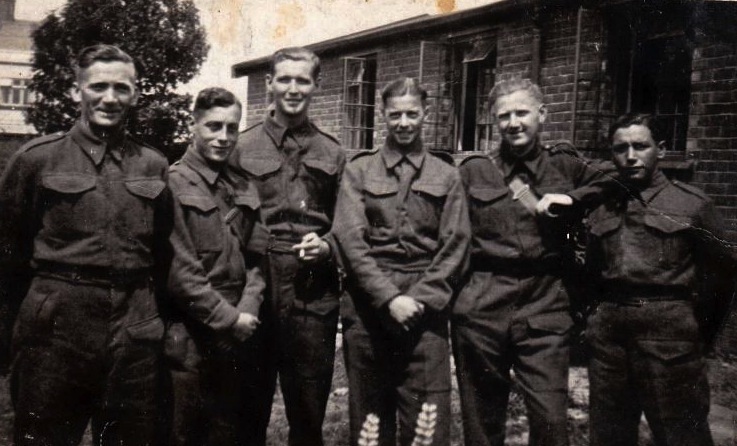 The men had already been involved in secret and specialist work in that regard, and were highly trained in the latest developments in signalling and wireless technology. As mentioned earlier, unfortunately I have no real idea which Chindit unit Norman was attached to in January 1943, but it likely that he was paired up with one of his comrades from the previous expedition into China, and that they worked closely together as a team within the column. Thankfully I have recently been contacted by Anita Jones who is the daughter of one of Norman's brothers. Here is what she knew about Norman's time in Burma and his family life before WW2. "I am researching my family tree and have discovered that my Uncle (my dad's brother), Norman Wilfred Hackley, Army No. 2328907, was a Signalman in the Royal Corps of Signals, but was also a Chindit who died on 28th April 1943, and according to all military records I have seen was said to have been 28 years old. We now know he was in fact much younger. He was unmarried at the time and had no ties at home, his mother having died many years earlier, which had led to the breakup of the family. I have some photos of him in uniform with some of his Army mates, these photos have some names scribbled on the back and I would love to know more about these men and my Uncle's time in India and Burma. The only background information I can give you is that Norman’s mother, Ada Elizabeth Hackley (nee Edwards) died of TB in 1935, when my Dad, Ronald Robert Hackley was just 11, and the family seems to have fallen apart after that. There were six Hackley children, Harold, Norman, my Dad Ronald, Dorothy and then came my Auntie Brenda and her twin brother Terence, Dorothy and Terence had both died of TB when they were very young. Brenda was adopted by an Aunt when her mother died because she was only two years old, so I doubt she will remember much about her brother Norman. She is the only one of the Hackley brood left. I do know that the family lived in inner-city Birmingham and that they were very poor – my Dad, who died in 1989 at the age of 64, once told me that he even had to pawn the kitchen curtains one day so that he could buy something to eat. But that sort of thing seems to have been an everyday occurrence around that time. We really don't know how lucky we are these days do we?. Before his ordeal in Burma, I presume that Norman would have found that Army life was a much better alternative to living at home. There was one family story remembered by Auntie Brenda, she had been told that my Uncle Norman had been killed by a crocodile whilst swimming the Irrawaddy River, could this possibly have been true?" This information was intriguing as there have been sightings of Salt Water crocodiles in the estuaries of the Irrawaddy River over the years, but not many reports of the reptiles moving too far up river. When you add in the fabled history of the Irrawaddy River itself and the numerous lives of British servicemen it has claimed over the decades, perhaps the family story is not so far fetched as it might seem. 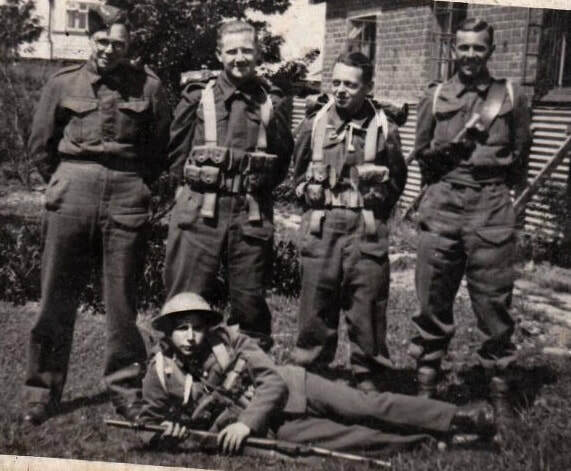 Shown below are four more images in relation to Norman Hackley's story during WW2, firstly, another photograph from his initial Army training; Norman is the soldier lying down on the floor wearing the helmet and holding the rifle. The last three images are of his inscription on Face 4 of the Rangoon Memorial, which is located in Taukkyan War Cemetery, and commemorates those casualties who have no known grave. 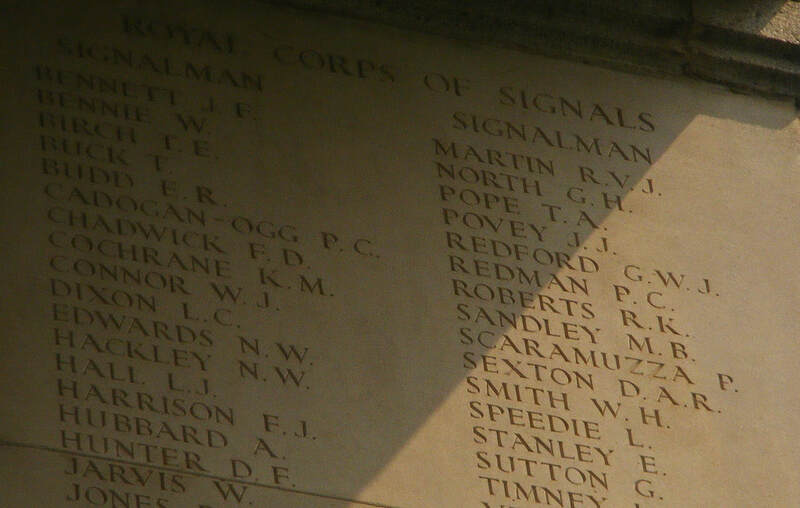 The list of Signalmen shown on this panel includes no fewer than eight of Norman's Chindit comrades from Operation Longcloth. 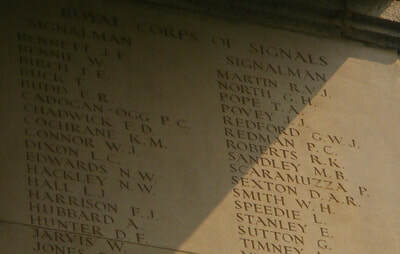 Secondly, there is a photograph of the internal view of one half of the Memorial itself, which includes Face 4. 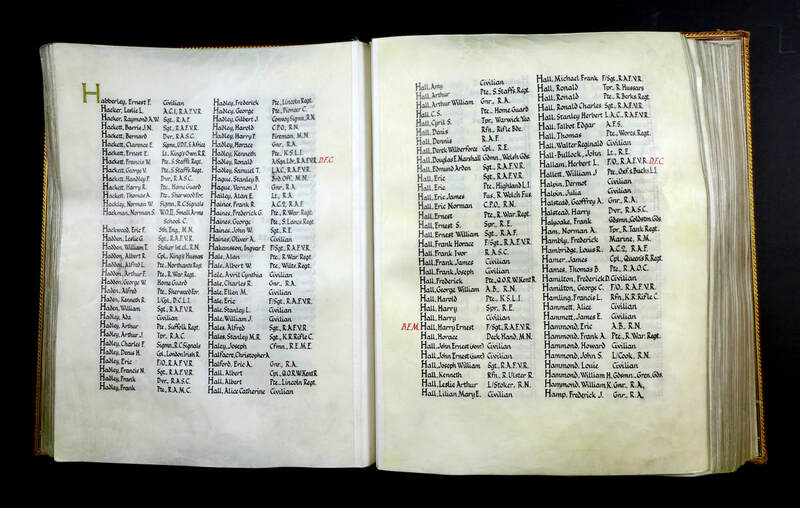 The final image shows Norman's inscription in the Birmingham City Book of Remembrance for WW2. Please click on any image to bring it forward on the page. Many thanks to Anita Jones and her sister Adria Cattier for providing me with the wonderful photographs of Norman and the information on his family background. I recently came across a file which proves that Norman Hackley was indeed part of the 204 Chinese Mission in late 1942. 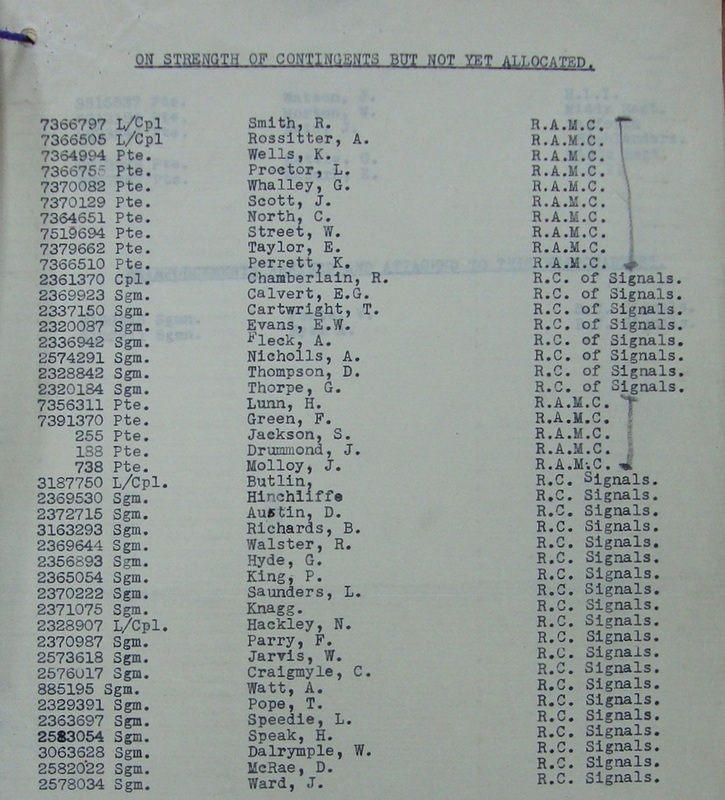 Seen below is an image of a listing of Royal Signals personnel present with this covert unit as of January 1943. As we already know, Norman had in fact been posted to 77th Indian Infantry Brigade a few weeks prior to that date, but at least this list confirms his presence with 204 Mission. Mission 204 was set up in order to assist Chaing Kai Shek in his fight against the Japanese. The idea for the unit was devised in 1939, with the view of providing specialist military personnel who could help train Chinese guerrilla forces, but also accommodate a strong and influential British presence at the court of the Chinese premier. In early 1941, Major-General L.E. Denys MC was appointed Military Attaché to the British Embassy in Chungking and it was he who brought the idea to fruition. 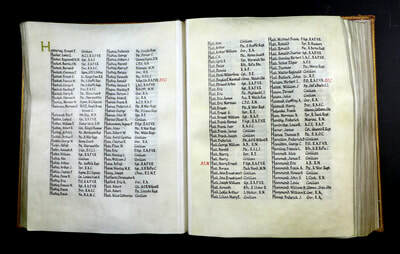 List of service personnel present on strength with 204 Mission, 12th January 1943. Copyright © Steve Fogden, Anita Jones and Adria Cattier 2013-15.